Here's a little more about this weeks prize.. This is one of Erin's new pendants. It is a made to order item, and this is one of the prototypes. 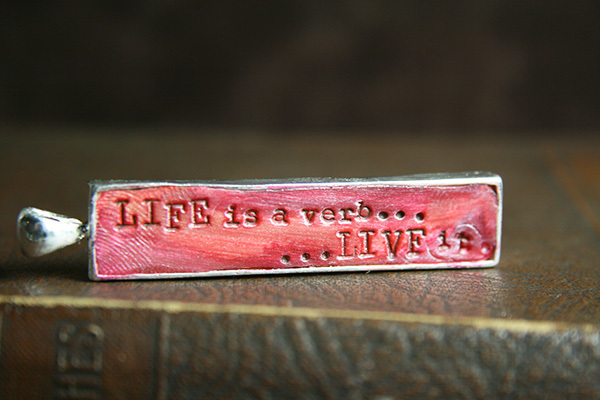 It is in the style of her popular 'take time' message stick pendants. She calls this series 'LIFE is..." This one is in lively hues of red and orange and magenta and says "LIFE is a verb.....LIVE it"